Monaco is a technical racetrack that rewards drivers demonstrating accuracy and control. Add rain and it becomes one of the most daunting, challenging circuits in the F1 calendar. 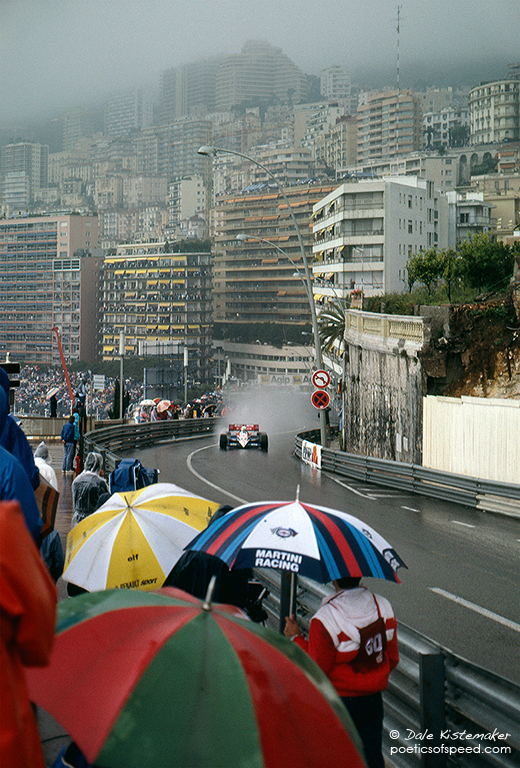 My first Monaco GP in 1984 was a deluge and I wrote about how it revealed the brilliance of the two newcomers, Stefan Bellof and Ayrton Senna in my October 20, 2011 post. Although those two excelled in the difficult conditions every driver was amazing. I had difficulty walking and photographing in the torrential downpour, how they could race in those conditions was mind-boggling.